The original question was: I have recently heard several pastors preach the Gap theory. I don’t see how there can be a gap anywhere in Genesis 1. Where did the gap theory came from, and how do we answer it? Are these pastors deceived, ignorant or just ill-informed? This is a theory widely spread by the Schofield reference Bible and commonly accepted in Brethren/AOG Assemblies, and in any big users of Schofield. It usually refers to the idea that there is a missing time period between Genesis 1:1 and 1: 2. Theologically it is supposed to represent the missing account of when the Devil, who it is claimed used to rule earth before man, rebelled and lost his role and his planet, and geologically it is usually associated with all the time needed for the fossil record to formed prior to man. Let’s give you a unique way to Biblically expose the error in the gap theory, followed by a little helpful history, and one warning. How many conjunctions does it take to make a gap? This use of and is most easily spotted in the KJV, but even when the word is translated as ‘then’, in some modern translations, it is still a connecting word based on the Hebrew conjunction waw. 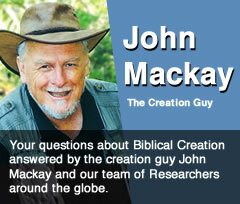 Did you notice back in Genesis that the making of the heavens and the earth was only referred to in Genesis 1:1? If there was a time gap in between verse 1 and 2 for any reason, then Exodus 20:11 should read; “For in six days the Lord made some of the earth and the seas and only some of what is in them, because He had made the earth and heavens ages ago”. This reading is impossible. When you see some Bible translations that have been influence by this theory, yet know the Hebrew is not to favourable to this, they use some very dirty tactics. For example: the Common English Bible begins with: “When God began to create the heavens and the earth — the earth was without shape or form”. Dake’s annotated bible leaves a white space several lines in depth. So why was I so scathing with the words ‘dirt tactic’? We all tend to forget that the original Hebrew text did not have chapter and verse number. These were added by Medieval Christians to make it easier to read and memorise. Surprisingly they were later adopted by Jewish rabbis in the often forced debates with Spanish clergy who quoted ‘chapter and verse.’ What was the source of this numerical system? By 1205, one Stephen Langton is claimed to have been the first to put chapter divisions in the Vulgate Bible, which were later added to New Testament Greek manuscripts in the 1400s. Robert Estienne was the first to number verses within each chapter thence added to New Testament copies by 1565 and by 1571 had been added to the Hebrew Bible. There is no denying the majority of those who want a gap, do so because they are trying to accommodate the ever increasing age of the earth and universe touted by geologists and astronomers. Just cast your eyes over the brief history below, as we start in 18th Century France. Frenchman Georges Louis-Le Clerc de Buffon who lived 1707 – 1788, calculated that Adam and Eve came into being 6,000 – 8,000 years before present, but the earth had been in prior existence for 75,000 years. He derived this age for earth by comparing the earth to a large iron ball and attempting to calculate its rate of heat loss from a hot molten blob to its present cooler state. In doing so, he applied the measured rate of heat loss for the small iron ball to an earth size iron ball, in order to derive the figure of 75,000 yrs. This comparison method of using present measurements applied to the past would later be called he principle of uniformitarianism. In the politics of the day, if a Frenchman said something, an Englishman rejected it, so the Scots would deliberately accept it. Gauls and Gaels vs Anglo Saxon/Normans. (Not much has changed has it? ) So by 1785 at Scotland’s prestigious Edinburgh University: geologist James Hutton promoted his version of De Buffon’s concept of uniformitarianism in his very hard to read text Theory of the Earth to derive an inestimably old earth. In 1802 at Edinburgh University, this uniformitarianism concept was further expounded in a much more readable form by John Playfair, in his text Illustrations of the Huttonian Theory. Since Chalmers’ day, the amount of History the geologist could allegedly provide us became larger and larger and larger. By the time this author first encountered the gap theory in the 1970’s via a Brethren group addicted to Schofield’s reference Bible the geologists had increased the age of the earth to billions of years, and the effect on the youth of that church was obvious: If God only tells us about 6000 or so years of history, and the geologist knows about billions, who knows more? God began to shrink until He was, for all practical purposes, irrelevant. You may find it also interesting to note that by 1816 a Scotsman from near Edinburgh had moved to England and graduated in Law at Oxford. He was Charles Lyell who would become Darwin’s mentor. In 1830 Charles Lyell’s Principles of Geology presented geologic evidence from England, France, Italy, and Spain that Lyell believed showed Hutton was correct. By the 1830’s Charles Darwin (ex Edinburgh University) had become becomes Lyell’s disciple, and the rest is History as they say. But he wasn’t the first – a Scotsman had beaten him to it! In 1844 a book named Vestiges of the Natural History of Creation had been published anonymously in London, predating Darwin’s Descent of Man by decades. The author promoted evolution of man from the apes. It was a best seller. It was only in 1884 that its author was discovered to be Robert Chambers (1802 – 1871) of Edinburgh. God has already given it to us: Don’t add to or subtract from His word (Revelation 22:18-19). Like any lie, the Gap Theory puts a real space between man and God, and the devil really is in the details! ANGELS: When did God create angels, before or after He made the earth? Answer here. To see the effect of belief in Lyell’s long ages on Charles Darwin read the article The Descent of a Man. PDF here.